When prospecting for new business, it’s not always enough just to make cold or warm calls, send emails or cards, or leave voicemails Sometimes you also have to send gifts. After all, your goal is to make your client aware of you, stand out, and encourage him to do business with you. 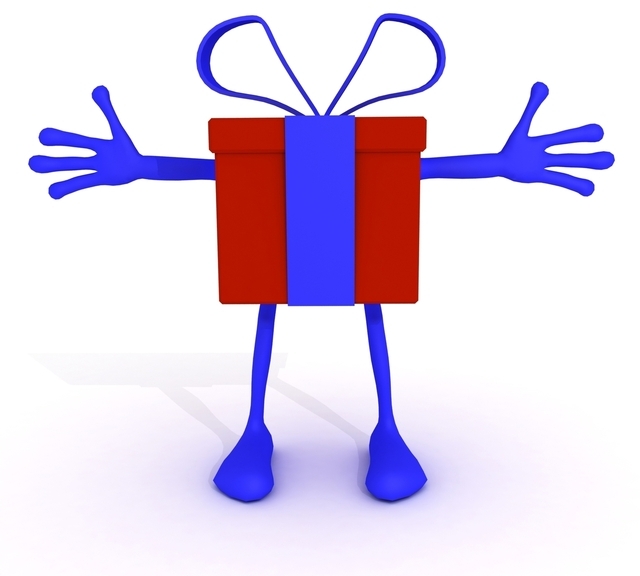 Of course, gifts alone are not enough – but it could make you stand out from the crowd from your competitors. Let’s face it, your clients are busy. In order to grab their attention, you need to do something unique. 1). Inexpensive – send only inexpensive gifts. If you are sending a gift that’s too expensive, your client may interpret it as a bribe. However, your gift doesn’t have to be tacky. Be creative. Have a different assortment of gifts available and send one that you feel will really interest your client. And don’t forget to include a nice handwritten card. 2). Useful – send something that is useful or that he can give to his children to play with. Examples include a mousepad, magnet, pen, business card holder or letter opener with your company’s logo and contact information. When I worked for a durable medical equipment company, the owner created a round plastic measuring tool to help clients properly measure the size of bearings for chairs on wheelchairs and other equipment. Believe it or not, that tool was extremely popular and helped secure some large sales. I actually had clients who wanted to order large quantities of it to send to their customers! 3). Large prospects – focus on clients who you suspect will give you large or repeat orders over time. While there is nothing wrong with pursuing small clients, you want to target clients that will give you the most bang for your buck. Gift giving shouldn’t be just during the holidays. For your business clients, make it a year-long habit. Note: If you like my post, please check out my book Advice for New Salespeople: Tips to Help your Sales Career for more help.